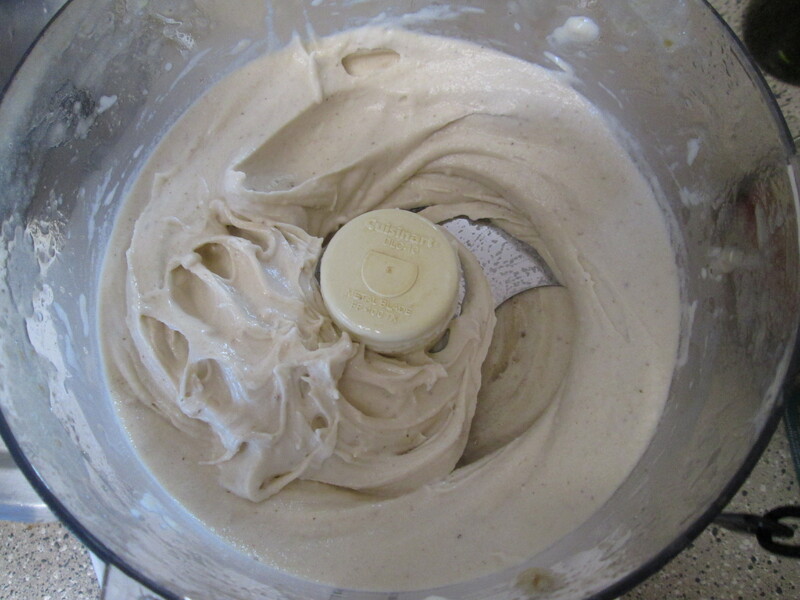 Someone else posted this and said “The Raw Ice Cream That Will Change Your Life” another (the original that I know of) posted “Banana Soft Serve: This Post will Change Your Life.” Now, I’m not sure it will change EVERYONE’S life, but it certainly is delicious! I mean, let’s face it. Ice cream is awesome. I really eat way too much of it. I wouldn’t have thought that whipped frozen bananas would have such a similar texture! Perhaps I can eat this and Vitamix sorbet and curb the craving this summer! I know many bloggers have been honoring the new episodes of Arrested Development coming out by having themed food items. Perhaps trying this recipe can be my way of doing that, too? I hope so! This recipe is so simple and can be easily altered to fit the flavors you want. However, I imagine it will always taste like bananas, since that’s the main ingredient. 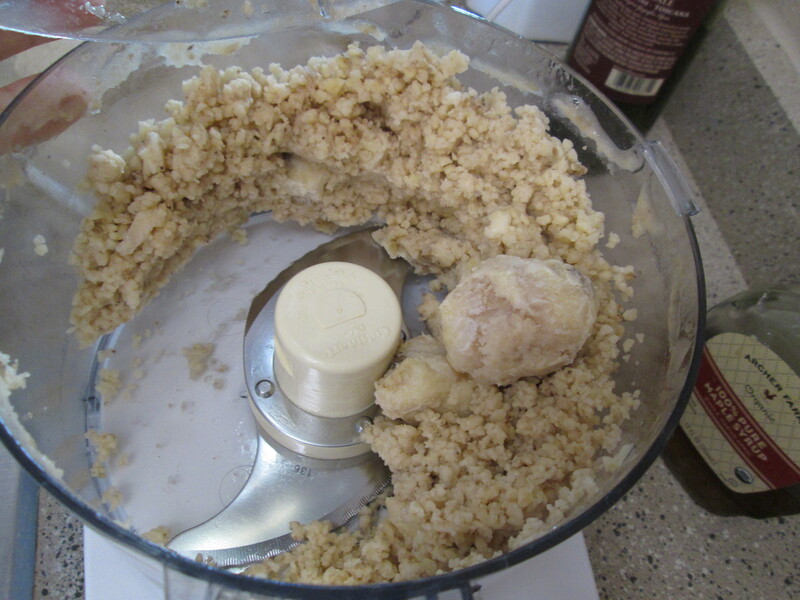 Put the bananas in the food processor. Whip it up! It takes about 5 minutes or so for it to reach an ice cream like consistency. I will admit, I wasn’t sure it was going to work at first. My bananas balled up, so I added a little almond milk. It didn’t really make much of a difference in the consistency, but if you are patient and keep scraping down the machine, it will eventually start looking more and more like ice cream. Serves about 2 people (if you want more, feel free to make more) a reasonable portion or 1 person a large portion. But it turned into this! One recipe I found stated that they tried this in the Vitamix, but it didn’t work quite as well. Please comment about your experiences if you choose to try that! Let us know what other kinds of things work for you! Enjoy! Freeze them! Do it now!